When and where was Pele born? What is Pele’s real name? What did Pele do to earn money as a young boy? In which position did he use to play? 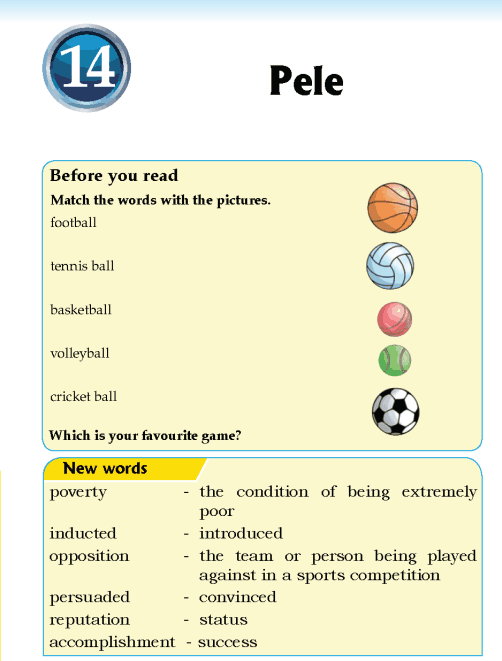 Is Pele famous for just being a footballer? If no, in what other ways was Pele famous? 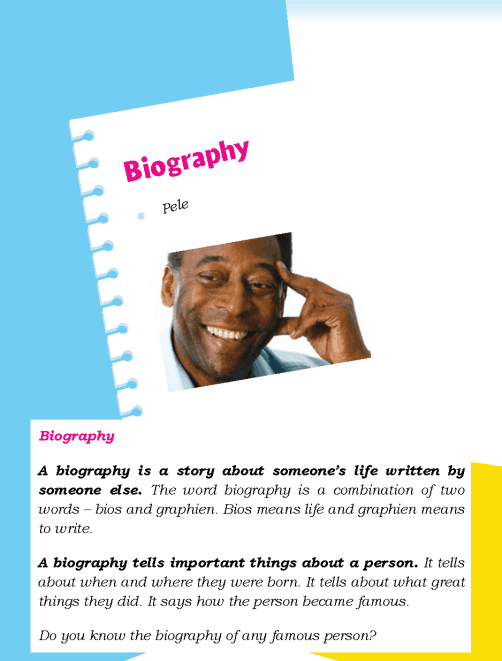 What did you learn from Pele’s biography? 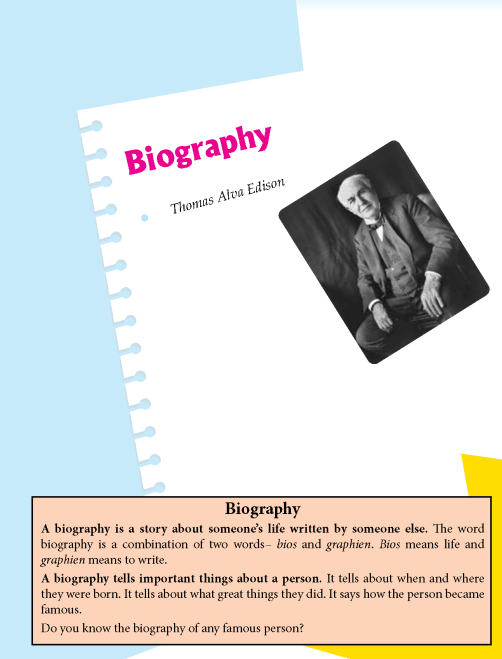 When was Thomas Alva Edison born? Who supported and encouraged him in life? 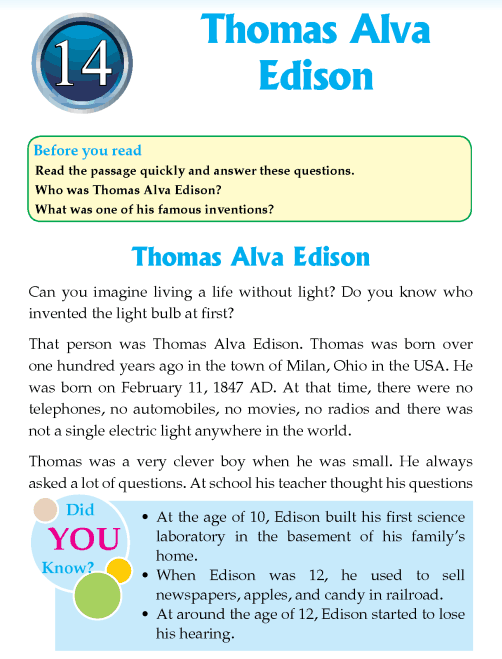 What were some of the famous inventions of Edison? What was his greatest invention? What can we learn from Edison’s life? At what age Louis became blind? Who made Braille? What do blind people read? 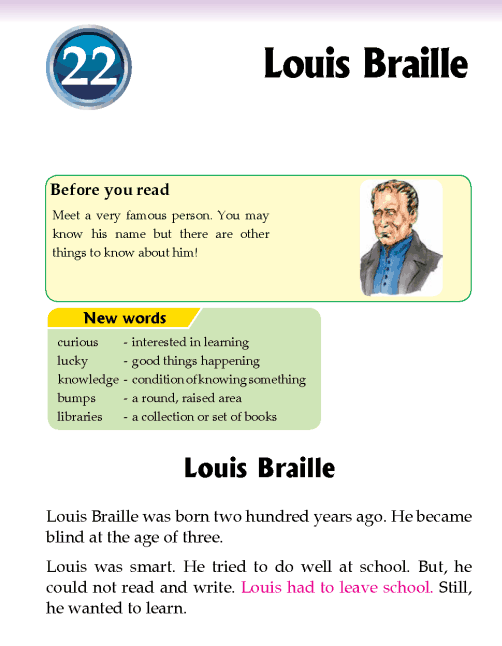 At what age did Louis made Braille? Why did she decide to work in the slums? Who did Mother Teresa look after? Why did she look after them? What was the motive behind establishing the first home for the dying? In later years, why was she more active in western countries? 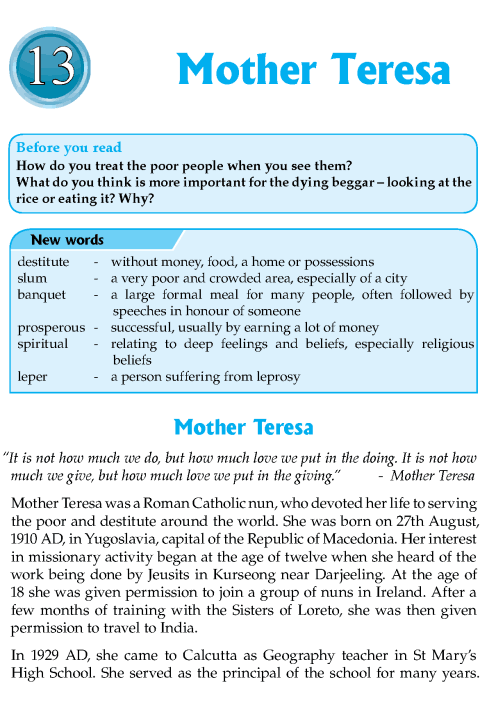 How would you describe Mother Teresa? Write your opinion. 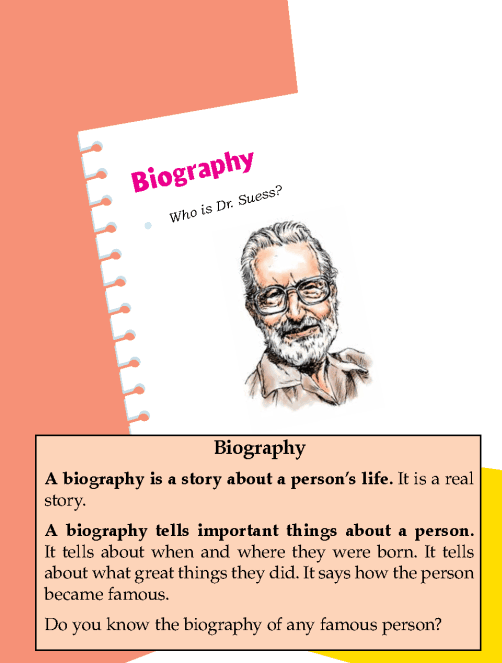 Who was Aristotle? 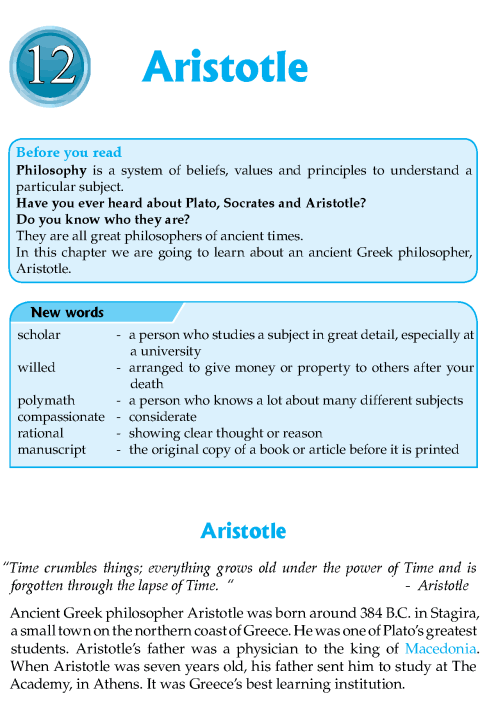 What did Aristotle teach Alexander, the Great? Why Aristotle is called a polymath? When was Lyceum established? How is Aristotle contributing the modern philosophy? 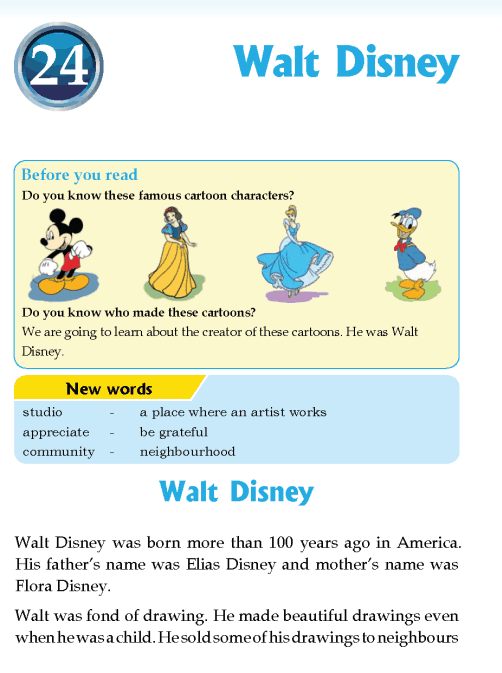 Give an extract from the text as supporting answer. 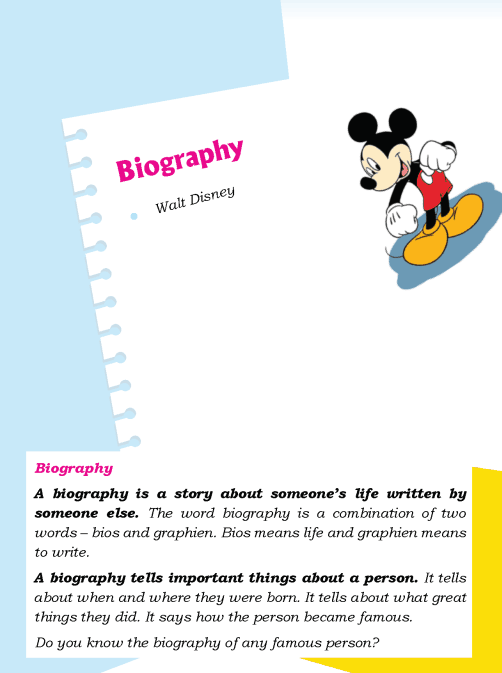 When and where was Walt Disney born? What was his parent’s name? Where did he spend most of his childhood? What did he study in McKinley High School? When was Disneyland Park opened?